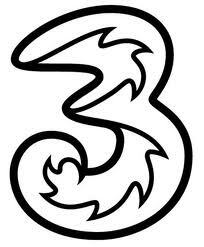 The latest announcement by Three U.K could be the start of a price war between mobile phone network providers. Though the smallest network operator in the U.K, Three has managed to keep prices down consistently and today it made an attractive announcement to its customers. Three will provide LTE/4G speed mobile phone connections without any increase in price. This means whatever amount someone is paying for Three’s 3G connection will stay the same even for LTE when it becomes available. Though when exactly it will become available has not been mentioned, only saying that it will become available later this year. At present LTE connections in the U.K are provided mostly by EE, a joint venture by Orange and T-Mobile, which is expensive. When Three starts offering LTE later this year, mostly by the third quarter, it will definitely force other players to cut down prices. Three will use the 1800Mhz spectrum, which it is set to acquire later this year, for its Ultrafast network. “Our customers choose Three because they love the internet and know they can get great speeds and great value on our award-winning network,” said Three UK chief executive Dave Dyson. “As we add the next wave of technology to our Ultrafast network, we’ve listened to our customers and thought long and hard about the right way to do it. We don’t want to limit Ultrafast services to a select few based on a premium price and we’ve decided our customers will get this service as standard.